Can you believe summer is already coming to a close? Leaping Bunny Headquarters has been even busier than usual over the last couple of months and we'd like to share what we've been up to in this month's e-newsletter! Additionally, Leaping Bunny Program Manager, Kim Paschen, shares her nighttime skin care regimen that leaves her fresh faced and glowing in the morning. Also included in this month's e-newsletter are the latest additions to the Compassionate Shopping Guide. 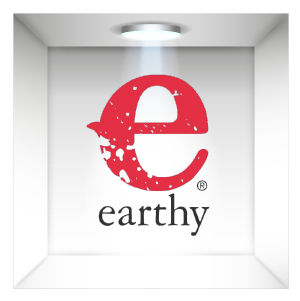 Be sure to read to the end where we interview John Vlahakis, the CEO of earthy, the household product brand with all-natural formulations, invigorating scents, and lovely packaging. Even though I'm well past the point of adolescence, I am still prone to breakouts and uneven skin tone (on top of needing to manage fine lines!). But my current nighttime skin-care regimen has been doing wonders for my face. I wake up in the morning and my skin looks smooth, even-toned, and dare I say, radiant. I'm so impressed that I want to share my nightly routine. 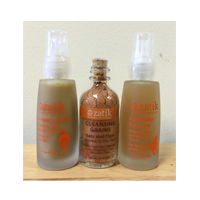 I have been loving my Zatik Dragon's Blood Cleansing Gel and Cleansing Grains. Fear not! No dragons are harmed. Dragon's Blood is a Peruvian tree sap that has antibacterial properties that heal the skin. I take a couple pumps and mix it with about 1/2 teaspoon of cleansing grains (which contain pumpkin powder, lavender, and clay) and massage onto my skin. This combo both cleans and gently exfoliates. I leave it on for about a minute and then rinse off with warm water. Zatik's Lavender Licorice Organic Clear Complexion Toner is like no other... and believe me, I've tried many. The smell is absolutely wonderful. It's incredibly refreshing all while helping to close pores after cleansing. The lavender relaxes facial tissues to minimize oil production and the licorice helps to even out skin tone. Awesome stuff. I have long been a fan of Earthwise Beauty. 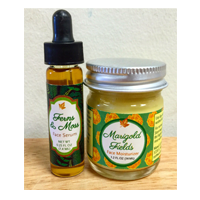 Their Marshmallow Suds Facial Cleanser and Blackstrap Molasses Face Mask are both awesome products, but what I am really jazzed about right now are the Ferns and Moss Serum and the Marigold Fields Moisturizer. After the toner dries, I put a few drops of the serum on my face. It is a healing serum that contains andiroba oil (helps detox, removes puffiness, heals acne, and rejuvenates skin) and copaiba balsam, which is anti-inflammatory, anti-acne, and antiviral. I finish by slathering my face with the Marigold Fields Moisturizer, a light cream that is full of reparative botanicals including radiant-orange calendula petals, chamomile oil, and pracaxi oil, which sustainably extracted from the pods of the pracaxi tree in the Amazon jungle. This special oil repairs skin on a cellular level promoting a more even texture over time and helps heal scars and skin discolorations. 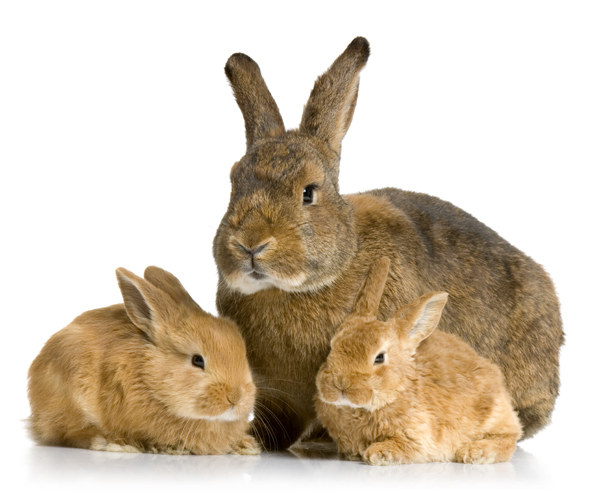 When companies become certified in the Leaping Bunny Program, one of the requirements they must adhere to is our annual recommitment process. This recommitment is a key difference between the Leaping Bunny Program and other cruelty-free certification programs. We have been hard at work all summer corresponding with companies on this project. We know that product formulations change, suppliers come and go, and manufacturers develop innovative lines to meet consumer needs. 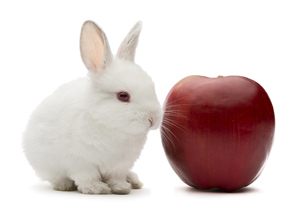 Therefore, it is essential for us to confirm that while products and ingredients may change, a Leaping Bunny certified company's animal testing policy remains the same. The new company portal on our website has enabled companies to go through the process much more efficiently, and to date, more than 200 companies have already successfully been re-approved, with another 100 applications in process. For the most accurate listing of currently certified companies, please refer to the shopping guide on our website. Summer may be starting to wind down, but the Compassionate Shopping Guide continues to grow by leaps and bounds. Check out our newest Leaping Bunny certified companies below and be sure to click on their links to show them love. Effective organic skincare made from natural oils and herbs. Revolutionary skincare line targeting specific concerns; created by Beverly Hills plastic surgeons utilizing the most promising technology on the market. Organic, local, ethically sourced bath and body products. Inspired by old school apothecary techniques with an urban twist. Organic and natural skin care products using ancestral beauty remedies, healing botanicals, and unique sweet almond oil infusions. An irreverent, unisex perfumery utilizing pure plant extracts with colorful histories and storied psychoactive properties. Handcrafted natural body products that are effective and healthy. Liquid soap made with organic shea butter and organic hemp oil. Scientifically proven personal care products, which enhance natural beauty by utilizing the finest natural ingredients. Biodegradable, eco-friendly, non-toxic cleaning products that are effective and safe for the whole family. Organic skin care and aromatherapy company. High performance, natural ingredient based personal care products specifically targeted for young male athletes. USDA organic pet care products, including a line of dry shampoo. Fashion forward and New York City based, this company has an extensive line of nail polish, artificial nails, nail treatments, nail art kits, and nail accessories. Green beauty brand created by two yoga teachers and inspired by athleisure; addresses the unique needs of active health seekers. This month, we are super excited to interview John Vlahakis, the CEO of the household products company, earthy. Read the interview below to learn more about what makes this company stand out from others in the all-natural household product marketplace. Also, be sure to check out our blog post for an in-depth review of several earthy products. What was the inspiration behind the creation of earthy? I created and branded Earth Friendly Products over twenty years ago. Circumstances led me to leave Earth Friendly Products, at which point I started earthy. My vision for earthy was and is to create a lifestyle brand that takes a holistic approach to personal care and home cleaning products, as well as food items. Our company's goal is to help people live more organically and sustainably. Your scents are so original. How were they created? Thanks! We spoke with a lot of people about the types of scents they like and would want to use in their homes. Cleaning isn't particularly glamorous or fun at times, so we wanted to make doing dishes and washing clothes, for instance, more exciting. Plus, as a growing company in a saturated market, we wanted to find a way to differentiate ourselves. Customer feedback as to how we can improve is always welcome. Yes, all of our products are vegan. We're currently in the process of gaining vegan certification. Our products are being sold nationally and we're continually getting our products into more and more stores. Currently, you can find our hand soaps in over 100 Sprouts stores and in Whole Foods stores in PA, MD, VA, OH, and Washington, DC. We also have products in Gelson's, Woodman's Market, Earth Origins, and Mrs. Greens. What do you think makes earthy and its products different from similar companies? As you referred to earlier about our scents, they are unique and one of the aspects of our products that separate us from the competition. Our scents are fresh and uplifting, which is what we've tried to do with our labels and packaging as well. Those are two features that set us apart, along with the fact that the quality and efficacy of the products can't be beat! What has been the most rewarding part of creating earthy? I think the most rewarding part of creating earthy is the challenge of giving birth to a new concept, making it grow, and having the perseverance needed to move forward under different and sometimes difficult circumstances. 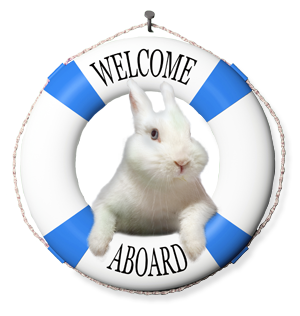 Why is being Leaping Bunny certified important to you? A big part of our company's ethos is to do no harm, whether to our bodies, to animals, or to the environment. To know that there is an organization like yours that values not harming animals means a lot to us. Plus, there are so many companies involved in the Leaping Bunny program. We feel honored to be among them. What is something unique about earthy that others may not know? Most people don't know that we make olive oil (my personal favorite). Our Extra Virgin Olive Oil is gaining ground on store shelves, so keep an eye out for it!